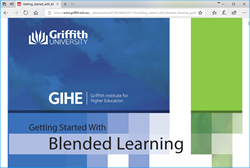 Blended Learning is a formal education where all learners learn partly through traditional classroom methods and partly through online (e- learning using digital technologies). This combination of blending adds value right across the Vocational and Educational Sector to both learners and teachers. 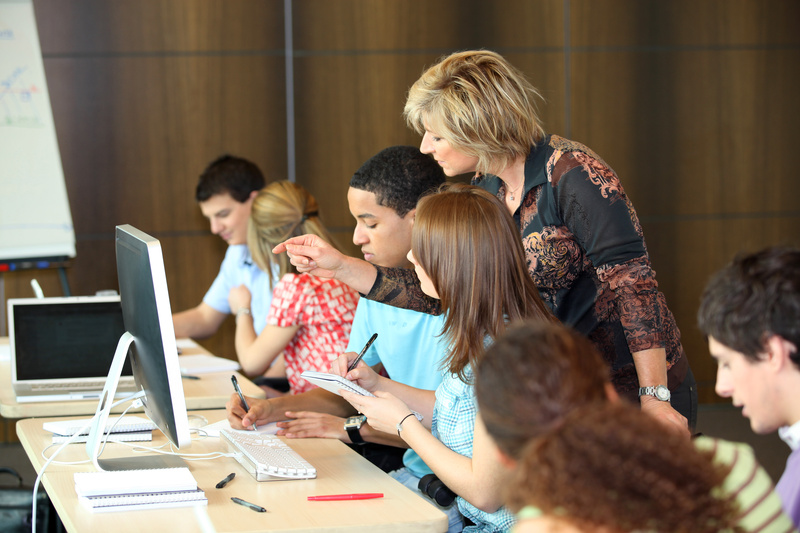 A formal education program in which a student learns at least in part through online learning, with some element of student control over time, place, path, and/or pace; at least in part in a supervised brick- and-mortar location away from home; and the modalities along each student’s learning path within a course or subject are connected to provide an integrated learning experience. 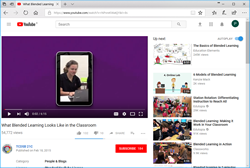 In a blended-learning course, learners attend a class taught by a teacher in a traditional classroom setting, while also independently completing online components of the course outside of the classroom. The online and in-person learning experiences would go in parallel and complement one another. 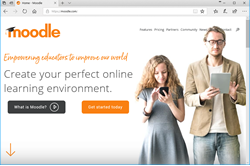 Blended teaching occurs through online Learning Management Systems (LMS) such as Moodle, Canvas, Blackboard or Google Classroom. Learners gain access to online pre-recorded lectures, notes and reading, as well as, assessment worksheets and assignments. It also allows learners to interact with their teacher and fellow students through webinars, online group activities and discussion forums. Online activities may take place synchronously, with every learner logged in and cooperating in real-time, or asynchronously with learners participating at their convenience. The classroom time is facilitated by a teacher and is more likely to be focused on structured exercises/activities that emphasise the relevance of the curriculum, to solve problems or work through tasks that were uploaded on the LMS. The classroom gives time for activities that benefit the learner by direct interaction. 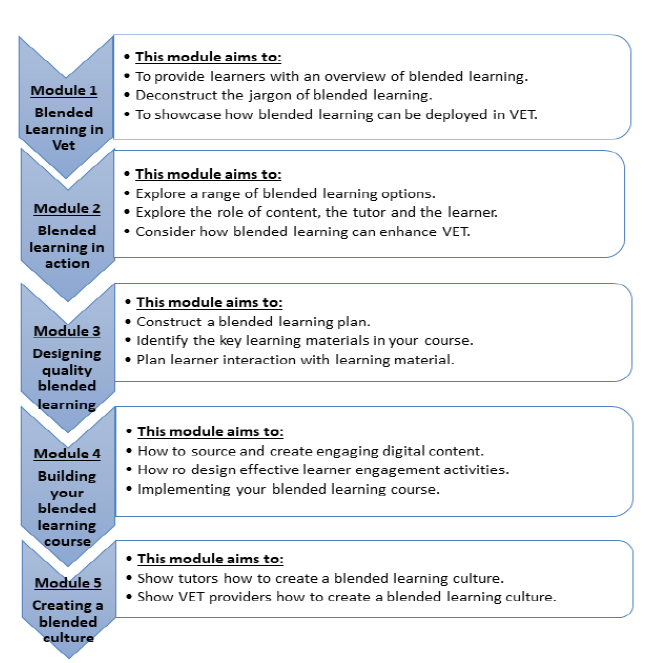 Blended learning can be delivered through a range of different approaches. The balance between online and face-to-face components will depend on the course curriculum, the college and the needs of learners. Online learning may be a minor component of a classroom-based course or, in contrast, learners may work independently on online and intermittently meet with tutors to review their learning progress or receive support. Good practice in blended learning doesn’t necessarily mean adopting a wide range of technologies for a particular course. It can mean simply using a few tools, but in effective ways to achieve quality in teaching and learning. Example One: The tutor may upload lecture notes, presentations, worksheets on their course site, regularly use announcements and email. 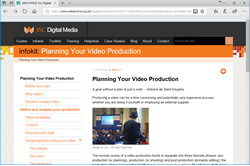 In this example, digital technologies are used to facilitate course resources for learners. Example Two: The tutor can integrate different digital technologies, such as videos, screencasts, interactive presentations and quizzes. Discussion forums can be utilised using tools like Padlet or Mentimeter between tutor and learners, or an informal ‘learners only’ forum. In this example, learners are communicating and collaborating effectively with each other and their tutor using various digital technologies. Example Three: Digital technology is fully integrated in the delivery of the module. The core elements of the course are delivered online with minimal face to face teaching. 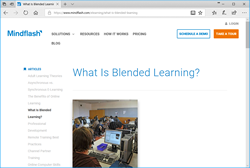 There are numerous benefits for Blended Learning for 1) the provider, 2) the teacher and 3) the learner. Lower Costs: Blended learning can be relatively inexpensive. 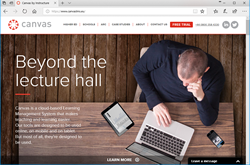 Colleges can take advantage of existing IT equipment with access to the learning management systems already in place. 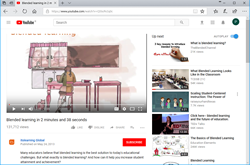 Teachers can then integrate online resources, such as course documents, lecture notes, assignment sheets and other hard-copy handouts etc at little or no extra cost. As new technological developments occur they can be added to the mix to make learning more focused and engaging. Long-term costs also decrease due to reduced expenditure on textbooks, paper and photocopying. 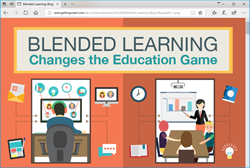 Blended learning can allow the opportunity to move forward toward paperless learning. Retention and Increased Learner Numbers: Today’s learners need to develop the critical-thinking and creative skills demanded by modern employers. Blended learning helps teach these skills by encouraging learners to work, share and collaborate online thereby preparing them for the modern workplace. This progressive approach can result in greater learner success, a higher retention rate and an increase in the number of new learner’s year on year. Appeal to a broader range of Learners: It will give opportunity to connect remote learners as well as access to another potential market of learners who want the support of studying at a physical college without the commitment of full time study. Despite the benefits of distance learning, many potential learners are still uncomfortable at studying entirely by themselves. Providing a balance for learners which blends learning in their own time with part-time attendance will alleviate this concern. 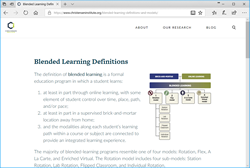 Flexible schedule/timetable: Blended learning allows the provider to offer teachers a more flexible schedule. It can be part of a strategy to maximise classroom space and/reduce the number of overcrowded classrooms. Course Structure: teachers can structure courses and deliver instruction more flexibly and creatively than in a traditional classroom setting. Time – Management: blended learning allows the teacher to engage learners in a deeper and more meaningful context in the classroom. Teachers can better utilize face-to-face time with learners. Teacher spend less time giving whole-class lessons and more time meeting with learners individually or in small groups to help them with specific concepts, skills or questions. Support: E-learning allows more effective interaction between the learners and their teachers through the use of emails, discussion boards and chat room. The teacher also can provide supplementary support to learners outside of class time. E-learning gives the ability to check how individual learners or whole classes are performing with better information and feedback on learners work there are more engaged learners. Independence: Learners often develop independence and motivation by working in their own time at their own pace. They become self-driven and responsible for tracking their individual achievements. ability to set appropriate learning goals and take charge of his or her own learning, developing an ability that will be translatable across all subjects. Support: Learners experience the personal engagement and support of interacting with their lecturers and peers while also benefiting from the flexibility of online deliver. 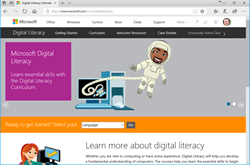 Technological Literacy: Learners are required to use digital and online technologies in blended-learning situations thereby improving their technological literacy and greater confidence using new technologies. working part of the time online anywhere and have access to unlimited up-to-date resources available via the web. Learner Activity and Collaboration – Active engagement with course material is vital for learning. This is based on research that demonstrates how learning is not only more likely to occur but is more enriched (qualitatively better) when students go beyond the passive tasks of listening, reading or viewing. Active engagement can be facilitated through individual as well as collaborative activity through a blended approach. It is argued that student discussion develops students’ ability to test their ideas, synthesize the ideas of others, and build a deeper understanding of what they are learning. Finally, such experiences can support the feeling of community and collaboration among learners. 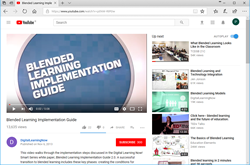 Learning Management Systems (LMSs) are online software tools that provides learners with controlled access to learning materials specific to their course. 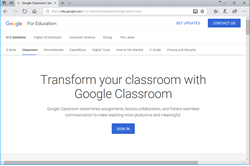 As mentioned previously Moodle, Canvas, Blackboard and Google Classroom are popular examples that colleges use today. LMSs are used to support today’s learners with a wide range of tools and course-specific content. All modules or courses will have their own area, which can be configured and organised by the teacher according to the curriculum design and learning outcomes. Breaking down content and avoiding excessively long pages will keep learners engaged and enthusiastic. The main advantage of LMS is that it can be used on all types of PCs, smartphones and tablets. 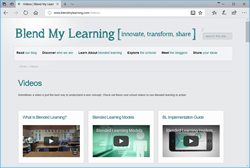 Material on the LMS, which can include audio, video, images, and links to other sites, is available to view and download 24 hours a day. 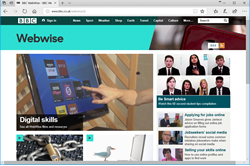 Remember to be aware of copyright and intellectual property regulations when uploading materials to your LMS.Submitting coursework via the LMS can bring many efficiencies for teachers and is very popular with learners. 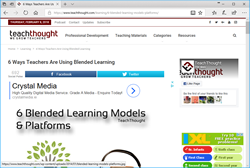 The LMS should not be a passive learning experience. Interactive activities and learner-generated content is a huge part of it. Teachers can set an assignment for learners to write a collaborative document using the Wiki tool. This type of assessment is real world, authentic and efficient for markers. Learners can practice quizzes such as multiple-choice questions can offer instant feedback and scoring. Discussion forums can work well but need to be carefully planned, well promoted, and managed. A very valuable aspect of LMSs is their ability to provide detailed data about learners’ engagement with materials and activities. This can help you support students who are struggling and need extra support. It is important to think carefully about the integration of the tools mentioned above into the curriculum design. 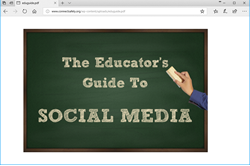 These Digital technologies or tools, can be used in class, or beyond the classroom, to enhance learning by offering specific types of benefit that are more difficult with traditional methods. They have been used to improve motivation, personalised self-pacing, learning outcomes, active learning, inclusion and flexibility for working learners. 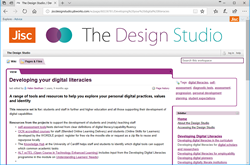 Here are some useful links to online materials and training resources to help teachers boost IT and digital literacy skills. You may find it useful to look at them all briefly and then choose one that best suits your style of learning and your needs. 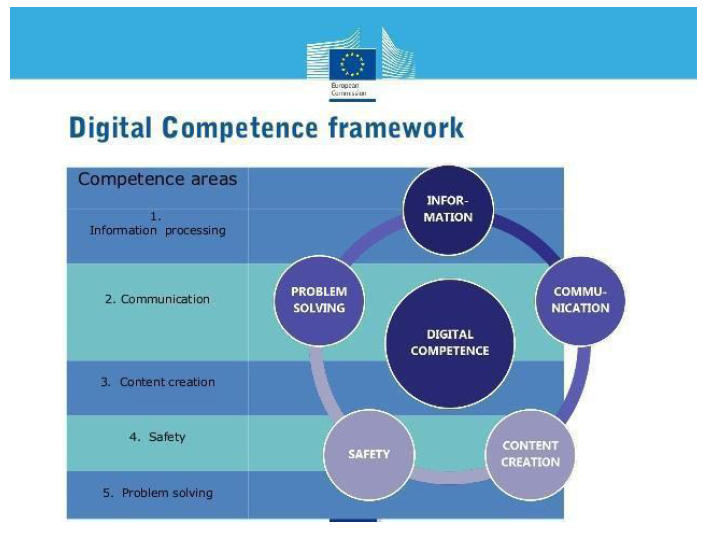 The European Digital Competence Framework for Citizens, also known as DigComp, offers a tool to improve citizen’s digital competence for work and employability, learning, leisure, consumption and participation in society. Digital competency means that people need to have competences in each of these five areas. Further information can be found on https://ec.europa.eu/jrc/en/digcomp/digital- competence-framework. Please note that there may be National Frameworks in place in individual countries. blended learning into each of their own organisations. 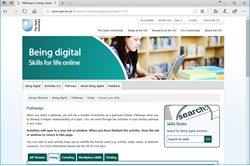 Online tools are available that can detect plagiarism in work submitted by learners. 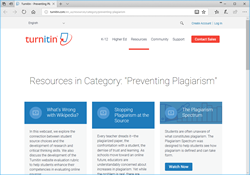 These detect possible issues of plagiarism by text matching learners’ work with a range of other works such as documents available for public access on the Internet and certain library and institutional databases. Such tools generate a report that provides a percentage of similarity between the learners work and other documents, outlines which part/s of the assignment contains matched text and lists the sources where the similar or identical text has been found. There are many learners who simply don’t understand what plagiarism really means. They haven’t yet developed the skills required for academic writing. It is important to remember some learners have come straight from second level school, or have come as mature students who have had very little experience in formal writing work. There are a range of ways in which you can support learners in learning about academic writing and how to avoid plagiarism.